Perfect Adams Morgan location--half block from The Line! 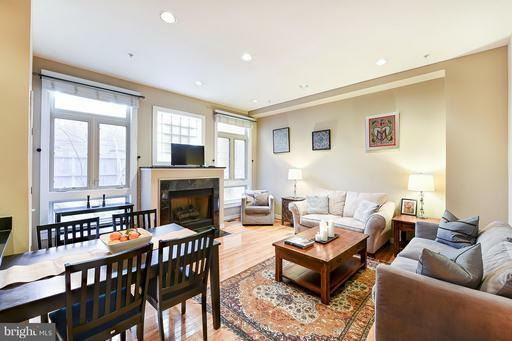 Live in the midst of it all in this wonderful 2 level, 2 bedroom, 2.5 bath, 1,100 square foot condo. Open layout, high ceilings, hardwood floors, marble baths. Best of both worlds as you can walk to it all--restaurants, bars, gyms, grocery--yet live on a beautiful residential block. Rental parking within the block. Low condo fee.